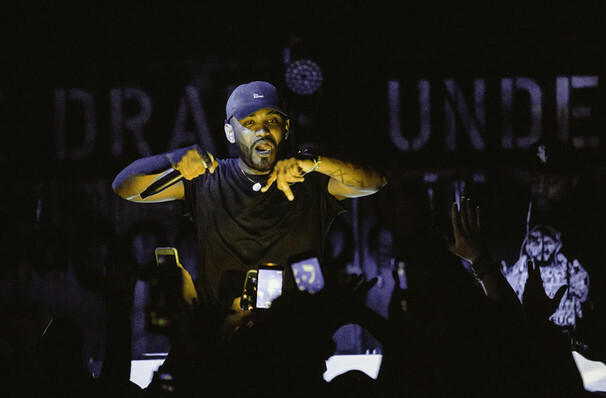 Known in the industry as the rapper's rapper, Joyner Lucas is unrestrained by pop structures and trends, allowing for the creation of lyrically-dense, out-of-the-box tunes and remixes. 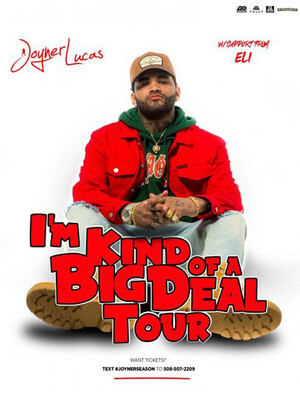 Following the critically lauded 2017 release of mixtape 508-507-2209 and a collaboration with Chris Brown, Massachusetts rapper Joyner Lucas is ready to drop his hotly anticipated debut album, hitting the road on the I'm Kind Of A Big Deal Tour with his brand new material. The 27 city jaunt signals a triumphant new mainstream era for Lucas, who's been spitting bars since the age of seven. The outspoken artist is also known for his politically and socially conscious-driven subject matter, reflected in the viral success of I'm Not Racist, a controversial track about race relations from both white and black perspectives. Sound good to you? Share this page on social media and let your friends know about Joyner Lucas at Jub Jubs. Please note: The term Jub Jubs and/or Joyner Lucas as well as all associated graphics, logos, and/or other trademarks, tradenames or copyrights are the property of the Jub Jubs and/or Joyner Lucas and are used herein for factual descriptive purposes only. We are in no way associated with or authorized by the Jub Jubs and/or Joyner Lucas and neither that entity nor any of its affiliates have licensed or endorsed us to sell tickets, goods and or services in conjunction with their events.